We believe the following letter was mistakenly sent to us here at Timex by some dope of a blogger. We apologize to you in advance for the few comments our staff put in parentheses, but they just couldn’t help themselves. We felt you are the real experts on the subject of Coordinated Universal Time (UTC), thus more qualified to respond to this dummy. So we decided to forward this letter over to you folks. To whom it may concern (primarily him); You have been telling us bloggers (and most of the human race we might add) that for quite some time now (like, uh, FOREVER) we only have around 86,400 seconds, 1440 minutes, and 24 hours in a single day to get by on (try… precisely). This morning, I awoke to a ton of responses on my blog (we think he means less than half a dozen, but work with him). Now it may have escaped your notice (we can’t imagine why?) that I happen to have a rather popular blog (well, at least he thinks so). Anyway, I’m finding that 24 hours is simply not enough time for me to read all of the posts by my fellow bloggers (if only he had learned to read), nor is it enough time for me to post on my own blog (it might have helped if he’d learned to write), or even to respond to my many beloved readers—all of whom… LOVE ME! (Did we also mention he’s delusional?). Now you may think it funny, giving us bloggers only 24 hours in a day to accomplish all that we have to do (bet it never crossed your minds). Oh sure, 24 hours may be enough time for an idiot of a blogger (if the shoe fits buddy) to fit all he or she has to do into one paltry (whoa, big word there) day, but not for me. Listen, I have many readers who follow me on a regular basis (he means he has 2) and I have to read their blog posts, too (they have audio books for blog posts?). These people are my friends (oh we doubt he has all that many friends). In addition, they’re expecting me to provide a quality post for them in return (no human-being can hold out that long). In addition, my employers expect me to do a decent job (that’s impossible) and get that job done on time (if only we lived in the age of miracles), or not get paid (which likely explains his being unemployed). This doesn’t take into consideration all the time I have to spend on personal problems (we figure he has more than a few of those). And then there are our kids (dear God, they let him have children?) who need my help from time-to-time. (To which we can only ask…WHY?). So guys (apparently, women don’t hold jobs) the clock is ticking (darn, wished we’d said that) and you better get busy figuring out how to give us (him) more than 24 hours in a single day, or else (or else what…more of the same?). It took me a while to write this comment. I wasn’t able to stand up again. I was rolling on the floor and cramping from laughter! Was this seriously a letter you got? That letter alone would have made my day but your comments are just the icing on the cake! Fantastic!!!! 😂😂😂 It happened again! 😂😂😂 Why didn’t I find you earlier?! You are awesome! I am glad at least now I finally discovered you…hahah… too funny!!! Well, I always wanted to be discovered. Just think…there might even be a finders fee in it! We can split it 60 and a third by 30 and 2 thirds, Just trying to keep it simple. Oh yes, finally you are discovered… lol! I basically like the idea of the fee and I am thankful you kept it so simple for me since I have never been good in maths… So that makes…. uhm…. how many breadcrumbs??? 😀 Keep that smile, Erika. hahahaha!!! loved this one! Thanks for commenting on my work, you are a very good writer and I was honored you gave me that serious and wonderful comment! you popular (delusional) funny (hilarious) blogging buddy! Time is a challenge isn’t it- thanks for making it fun!!! Funny. Smiling so hard. 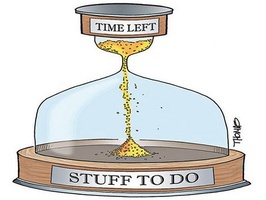 We never have enough time in our days. Thanks. Make every tick matter. Enjoy yours. Alright Joy. Then we’ll just have to remove that one thing and send you off to a spa where they’ll use the power of suggestion to make you feel younger and faster! We can’t have the aging process muddling up our quest for more hours in a day. That’s way too time consuming! See Joy, it’s working already! Yes, you’re right! Double the time! Hey, if the shoe fits – Brag! It fit—but I was using a shoe horn. Here’s a demand for another two minutes of your day. Pay up, buddy! At least you didn’t send it to Rolex! I think that Kate is onto something. Send this to Rolex, maybe get a new watch for your efforts? You might not get the extra minutes you want, but you’d look damned good while using the ones you have. IF they screwed around with giving us more time we’d probably not know how to adjust (our watches included) accordingly and all wind up more screwed up than ever. What little time we have waits for no one…especially wacky blogger types. Bruce, suddenly I feel like a broken blogger…and so is my watch! Maybe it was wound too tight. Mind you, not that I’m that way or anything. Besides, this post was only a time trial. The big push for more time comes in my next post. That’s when I go after sundials! Have a great weekend, Bruce. You have a great weekend as well Paul. And remember, the quest for more time is…(wait for it)…timeless. So, you don’t have enough time in the day to comment on other’s posts? Was that one of your points? If so, I’m TOTALLY OKAY with you reducing your comment count, as long as I’m not one of them. See, I’m flexible like that. 🙂 – I’m your long lost cousin after all and looking out for #1. As long as we understand just who/whom is important… where are the grammar police? Like sands through the hour glass…so are the days of our lives. I don’t think it was nice of Timex to make fun of the (red-nosed?) blogger who sent them that letter. He was making an excellent point about the difficulties of trying to operate a blog within a completely inadequate temporal framework. There should be at least 36 hours in a day, if not more. 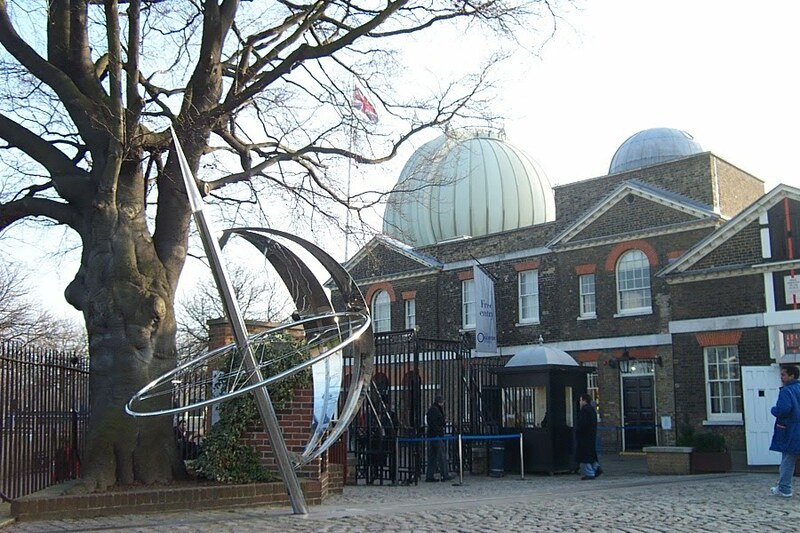 I for one want to know what Timex or the Greenwich Observatory are planning to do about it. I also want to write a strongly worded letter to WMO (The World Meteorological Association) to complain about the crummy weather they keep sending me. It’s simply not good enough. I pay my taxes (as far as they know), so I expect far better service. Bun, I couldn’t agree with you more—without incriminating myself that is. The red-nosed blogger—whoever he may be—seems to have a breathtakingly good grasp of how inadequate that blogging framework truly is. Why it wouldn’t surprise me at all if Timex and the Greenwich Observatory cooked this whole thing up just to make timepieces for some money. Thank goodness you (supposedly pay) your taxes Bun. Otherwise your strongly worded letter might fall on the deaf ears of the WMO—who as I understand it, receive compensation from the IRS in exchange for doing their bidding. You stunned me with the revelation that Timex might just be trying to sell timepieces for money! I can scarcely get my mind round the concept. I don’t think I’ve been as shocked since I learned that Coca Cola were merely trying to induce people to buy their carbonated soft drinks and didn’t actually care about teaching the world to sing. Yes, Coca Cola had me baffled with that bit of misdirection as well. I didn’t catch onto their fiendish plot until after I bought the entire Mormon Tabernacle Choir a lifetime supply of Coke after they praised me for my ability to warble. And I thought I was singing! The harmony was incredible, especially the baritones. Their deep gurgling was quite impressive. Wow, I even make emoticons happy!. Great read! I might have guffawed once or twice. 🙂 The question is whether the extra day this month might mess with this outlook on time or not. Loved it! So, I take it I should expect another couple hours in every day to happen this week? Yes, but it’ll be ever so gradual I’m told, and we’ll hardly even notice it. I’ll bet Timex makes new watches, the faces on them won’t have enough numbers! Hysterical. I want an alernate universe where I can do my regular day job and life things with a parallel life to just read other people’s blogs. I think so. Oh but I’d hate to have a 36 hour day when it was going bad. 24 is hard enough. I definitely feel the time crunch. Love this – especially the thoughts in parentheses. I don’t need to tell you how much hush money the sundial makers of the world offered me, NOT to tell this story. But, I couldn’t be bought at any price —less then 24 million. Omg yes, I never have enough time in my day! I mean mostly because I spend it watching tv, going to coffee shops, going to the park- anything to procrastinate actually working. But when 10pm rolls around and I finally start writing/drawing- I run out of time so quickly!! Wtf TIMEX?